Since I got my new Nikon I have been experimenting with the use of HDR and thought I would showcase some of my photos. So, November is HDR month…Each day in November I’ll feature a photo that is done in HDR. What is HDR? High dynamic range imaging (HDRI or just HDR) is a set of techniques that allow a greater dynamic range between the lightest and darkest areas of an image than current standard digital imaging techniques or photographic methods. This wide dynamic range allows HDR images to more accurately represent the range of intensity levels found in real scenes, ranging from direct sunlight to faint starlight, and is often captured by way of a plurality of differently exposed pictures of the same subject matter. Some of the photos that you might see may have been posted previously as a standard digital photo. This will show you the dynamic difference between HDR and standard digital. I hope you enjoy! 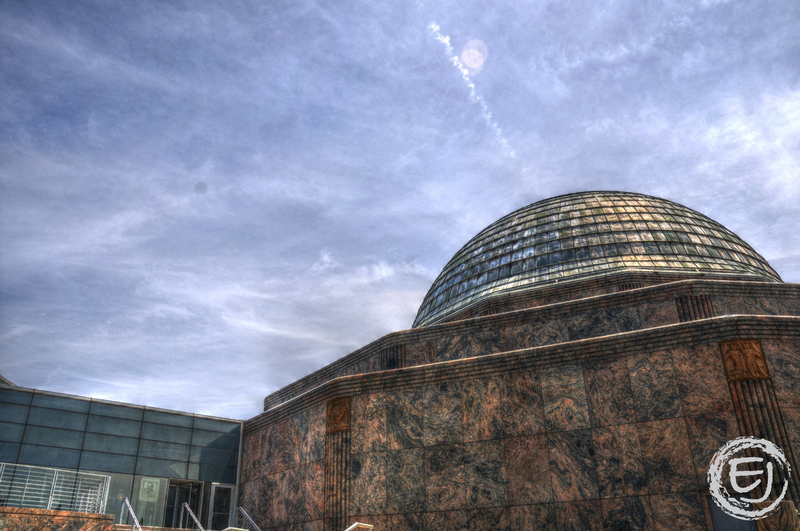 This is a photo of the Adler Planetarium. This entry was posted in Architecture, Chicago, HDR, Skyline. Bookmark the permalink.